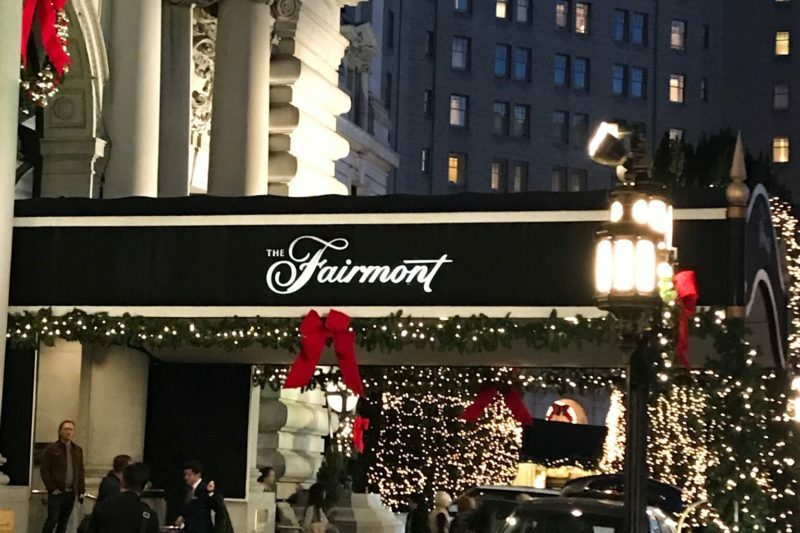 Fairmont San Francisco for the Holidays – shoes. bag. travel. my life. As soon as we walked through the doors I knew I had made the right choice. 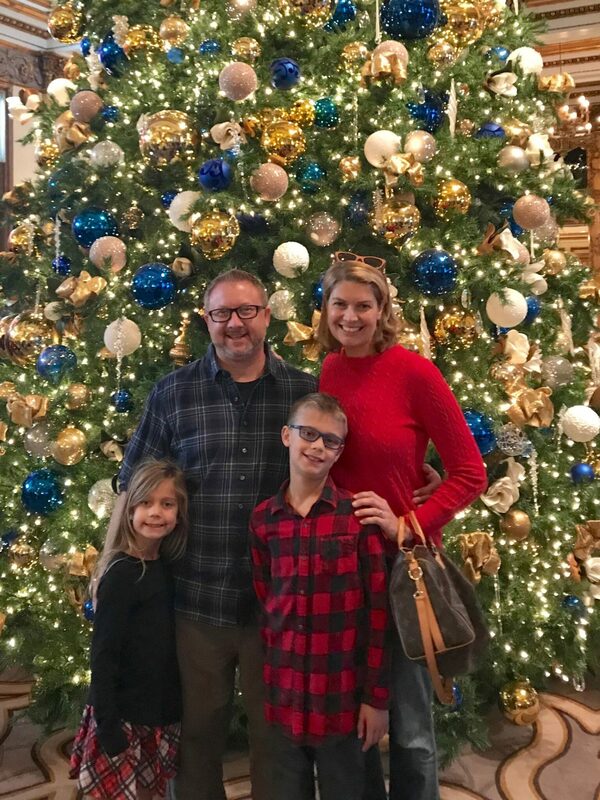 The first thing you see when you enter the main lobby is the 23 foot tall Christmas tree. Just behind the tree is the two-story, life size, walk-thru gingerbread house. The house is so large it has a room which offers a private dining space for up to 12 guests. 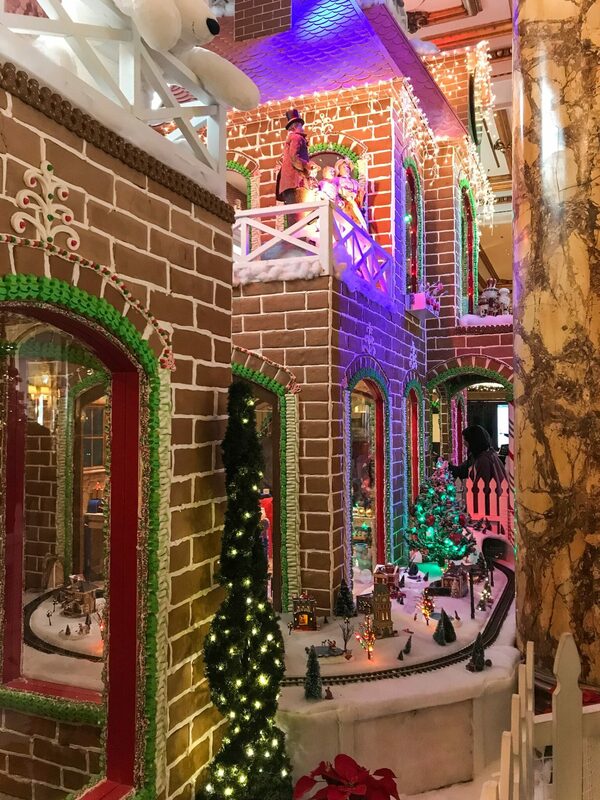 This year’s gingerbread house measures more than 25 feet high and 35 feet wide by 10 ½ feet deep. 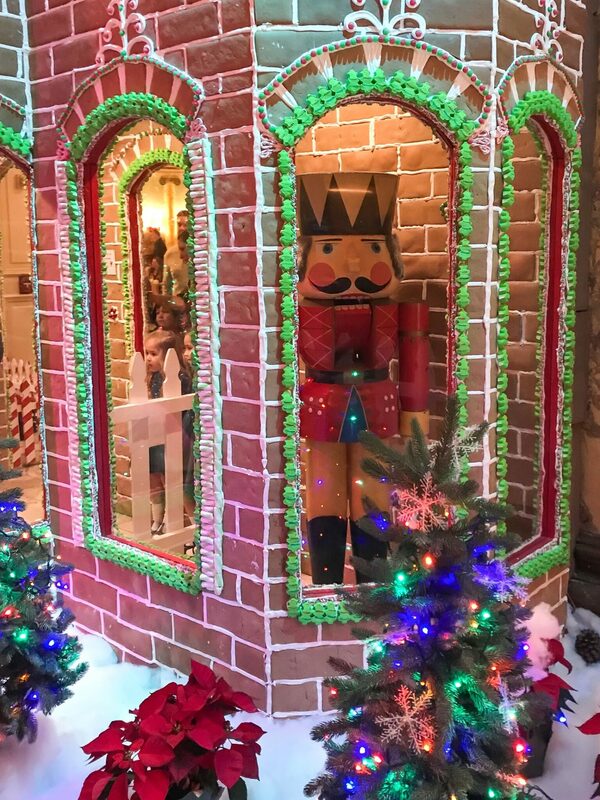 It was made out of more than 6000 pieces of gingerbread, 3,300 pounds of royal icing, and 1,650 pounds of candy. 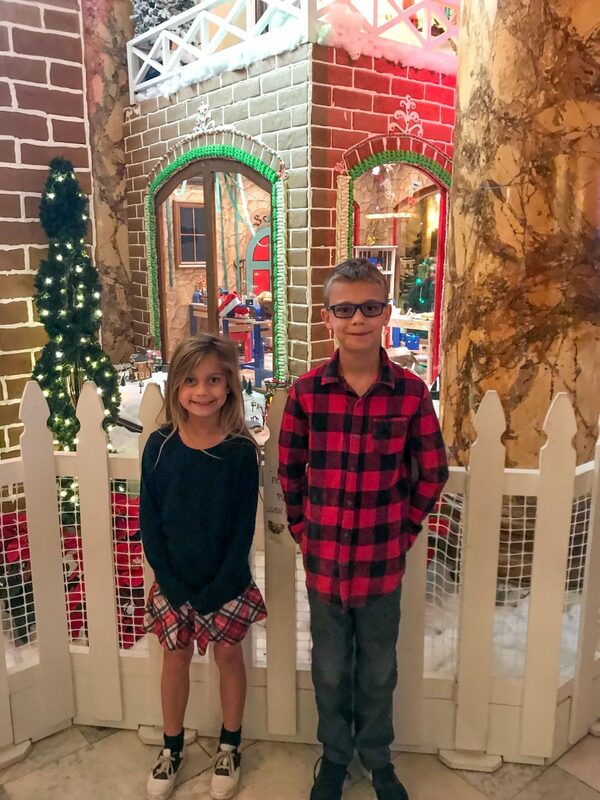 My kids loved watching train wind through the display, and they got a kick of seeing Santa’s legs stuck up in the chimney. 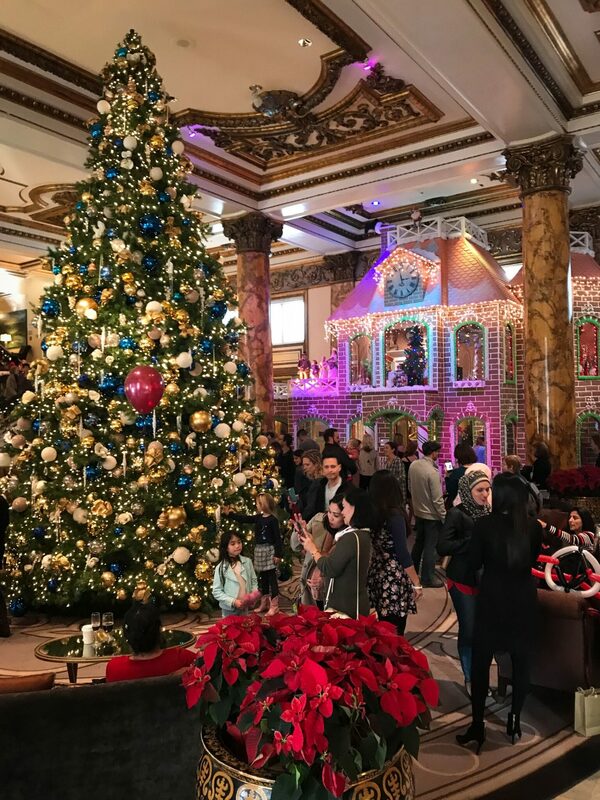 Just like the gingerbread house, the rest of the lobby is meticulously decorated with lights, foliage, ribbons, and bows. The whole lobby is the epitome of Christmas. 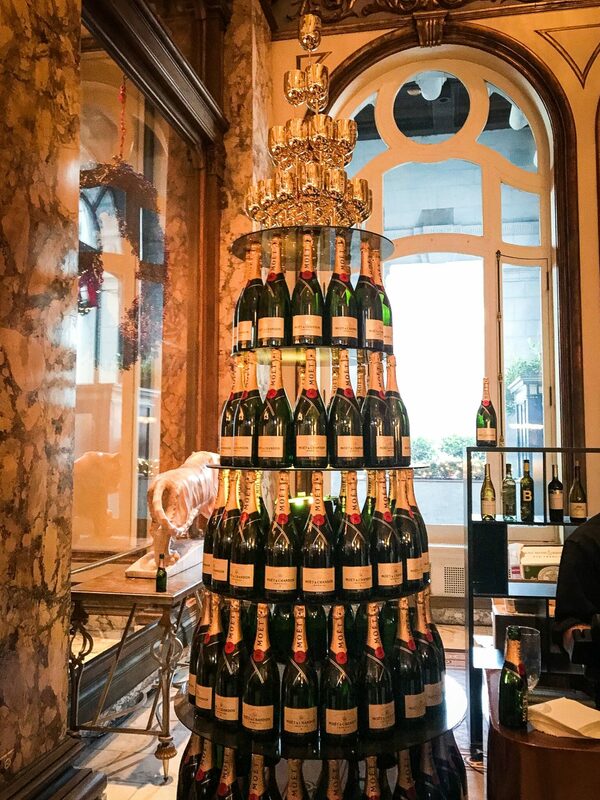 On the other side of the Christmas tree, across the lobby, there is a Moet and Chandon bar. It’s a nice touch to be able to sip bubbly while enjoying in the sparkly! Down the hall you can find a Santa’s Playroom. 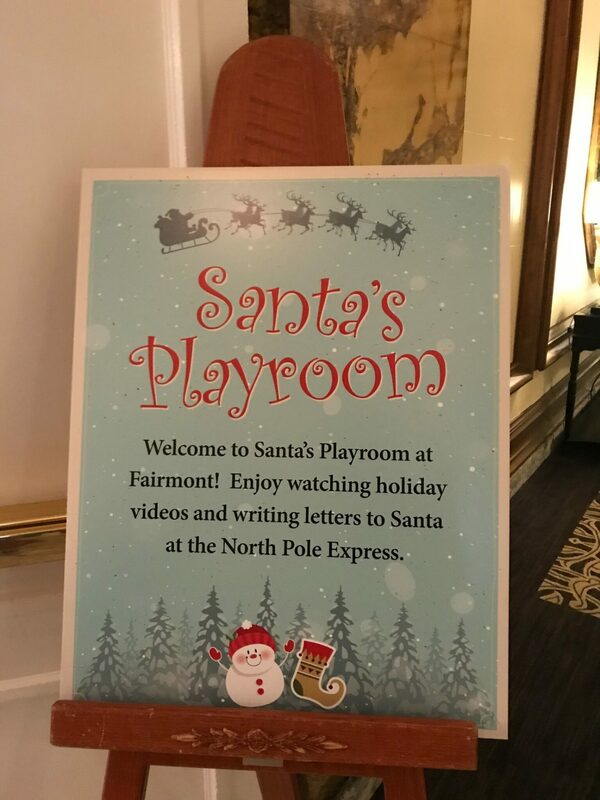 Inside was a hot chocolate bar, and an area where little ones could write letters to santa while watching their favorite Christmas movies. Our room was nicely appointed with what one would expect from a five star hotel. For us, it was the view of which we couldn’t get enough. 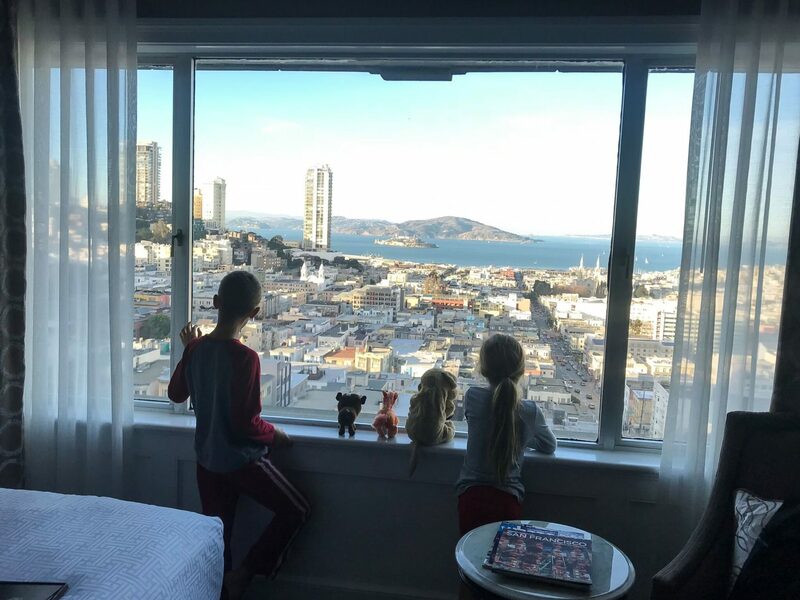 We had an extraordinary view of the city and the bay. Our kids made sure even the stuffed animals were able to get a look. I enjoyed the location, and was pleasantly surprised to find the cable car stop right across the street . Much to my daughter’s chagrin we walked everywhere and didn’t ride them this trip. 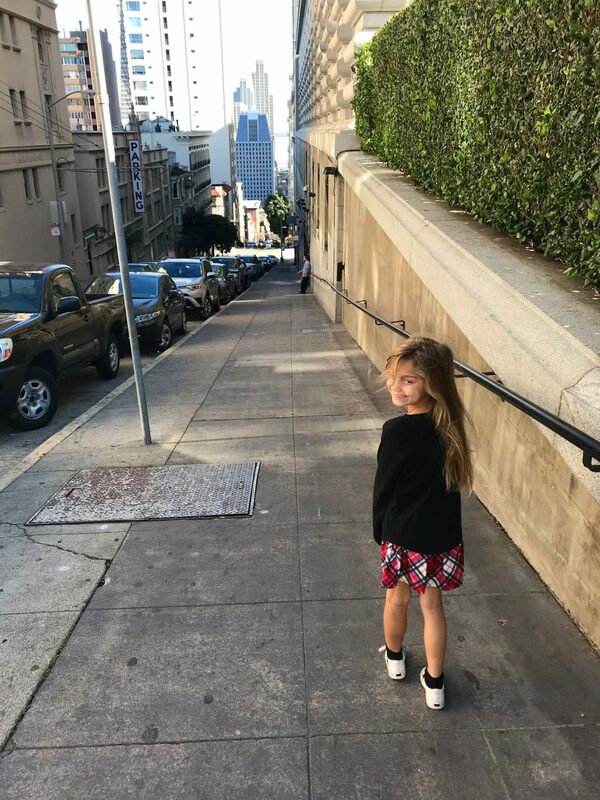 We were able to walk to Union square and Chinatown easily within 15 minutes each. Remember, the walk back is uphill, so make sure to allow for more time or just hop on the trolley. The trek up the hill affords some of the best views of the city albit from a pretty extreme angle. 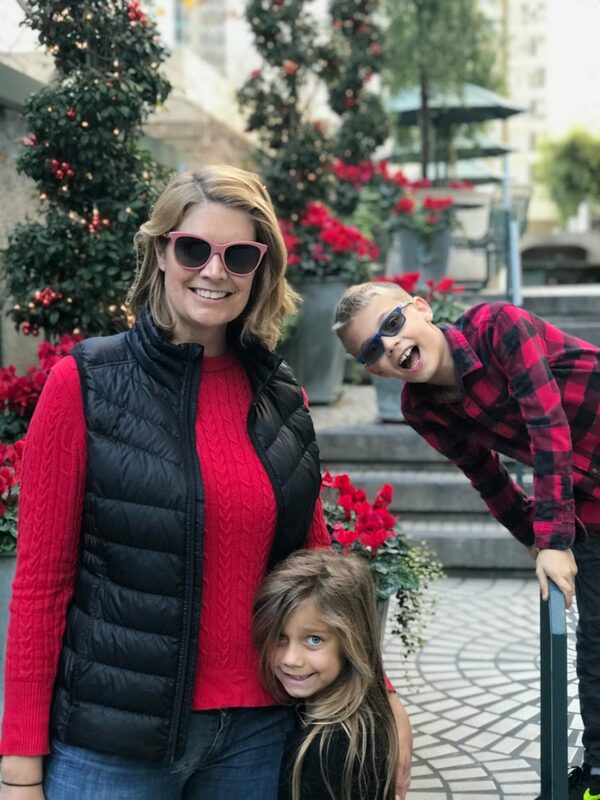 We all had such a wonderful time. It was a nice little getaway from the daily grind. 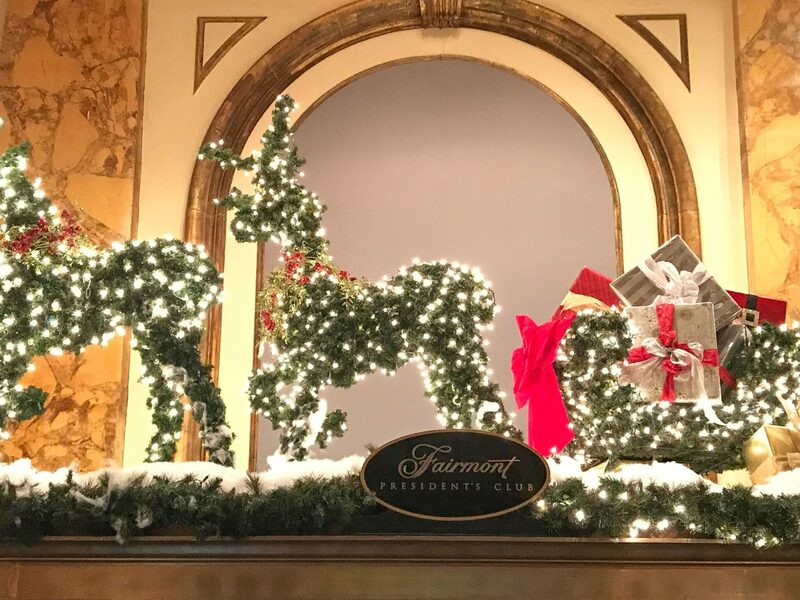 Who knows, it may be worth making the Fairmont one of our new Holiday traditions.